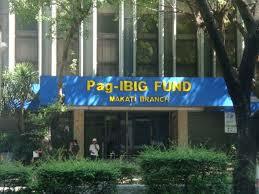 www.pag-ibigphilippines.com, the website is a stand-alone site that operates with the vision and mission of disseminating useful information about Home Development Mutual Fund or Pag-Ibig Fund in the Philippines. We are an independent source for relevant data to home loans, Pag-Ibig benefits and programs, membership programs, realization of owning your own new home, OFW and locally employed individuals as well as private corporations in the Philippines. The writer behind this site, www.pag-ibigphilippines.com does not have any relation to any government office or any of its branches, employee and officers. We hare here to deliver free help topics and articles only for Pinoys and concerned parties, thereby helping the Philippine government spread the good news at an even targeted audience. Mabuhay and Pilipino at Mabuhay ang Pilipinas! Good morning tanung ko lang kailan darating checke ko dito sa cebu branch ayala. hi I just want to know ,,I never seen my pag ibig munber sense ,,I leave Philippines but I have documents show I was paid pag ibig,,,last 5years and also paying here in embassy every 2years.. Inquire ko lang po kung na forward na po jan sa cubao branch ung pinasa kung loan application sa Caloocan branch. panu po ba mag fil up ng aplication form sa pag ibig? Hi good afternoon follow up ko po yung pagibig loan ko po kung when ko po ma tatanggap yung txt message niyo po sa akin kasi po yung kasabayan ko mag loan naka tanggap na po,salamat po. In regards to my account history, I request it to be merge to your branch in SM Aura since I moved to a new company. I requested the merging last September 2017 and since now there is no history of it in SM Aura branch. May I know why and request to expedite the merging of records since I am planning to file for a multipurpose loan. Anticipating with thanks to the kind attention to be given to this matter. Sir/ma’am ask KO LNG po kng kilan ko makukuha yong loan ko kasi yong kasabay ko meron na,nong DEC.4 ko pa po na submit yong loan iform ko.